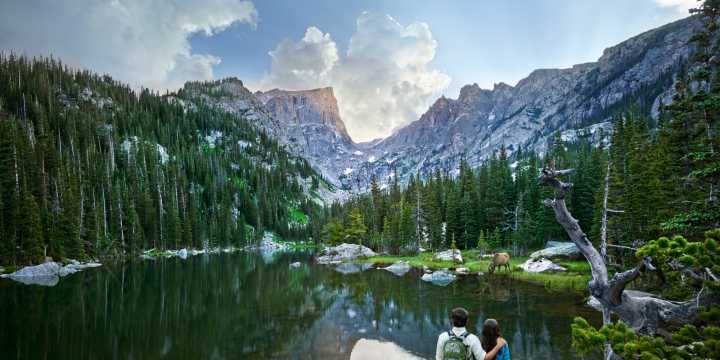 Beautiful Lake Estes is the perfect place to spend a day while in Estes Park! Start your adventure at the Lake Estes Marina located at 1770 Big Thompson Ave. The Marina offers a variety of rentals including boat rentals from a one-passenger kayak to a ten-person pontoon boat, canoes, paddle boats and more. New in 2015, try out the popular sport of stand up paddle boarding by renting one of the Marina&apos;s new paddle boards! The Marina is also your first stop for information on fishing on Lake Estes. Pick up your fishing licenses, boat permits, bait, tackle and rod & reel rentals. 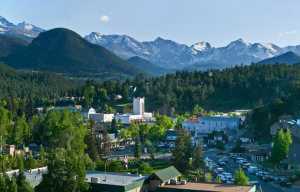 Then find your perfect fishing spot anywhere along the shores of Lake Estes, including an easy-to-access handicapped accessible fishing pier. Surrounding Lake Estes is the Lake Estes Trail, a paved 3.75 trail loop that connects to the Estes Park Visitor Center and downtown Estes Park. This pet-friendly trail is a great place to stroll lake-side or cruised around by bike. 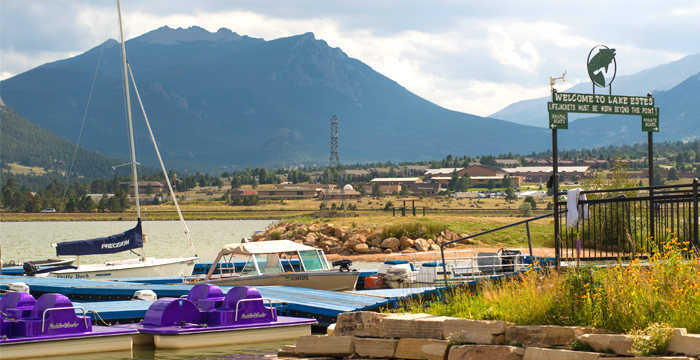 The Lake Estes Marina offers family-friendly pedal carts or cruiser bike rentals per hour or by the half hour. Dip your toes in the cool waters of the lake on the sandy shores of the wading beach located next to the Marina. Swimming is not permitted in Lake Estes due to the cold temperatures of this mountain lake, but families can enjoy playing in the sand and splashing in the water&apos;s edge in this special designated area. The green spaces at Lake Estes offer plenty of picnic tables and picnic shelters for a mid-afternoon cook-out. The picnic areas are available on a first-come, first-served basis. At the Marina, guests can enjoy a variety of outdoor activities including volleyball, picnic tables, horseshoes and a playground for the little ones! Don&apos;t forget your camera and binoculars! Lake Estes is a hotspot for wildlife activity throughout the year. Spot elk and deer that frequent the adjacent golf course and Lake Estes. Bald eagles are known to frequent the trees surrounding the lake and bring a field guide to the Matthews-Reeser Bird Sanctuary located on the west end of the Lake Estes Trail. Contact the Lake Estes Marina at 970-586-2011 or visit the Lake Estes Marina Website. 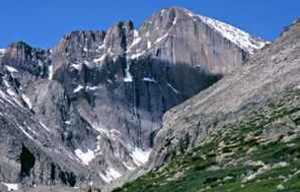 Day use fees are required at Lake Estes.